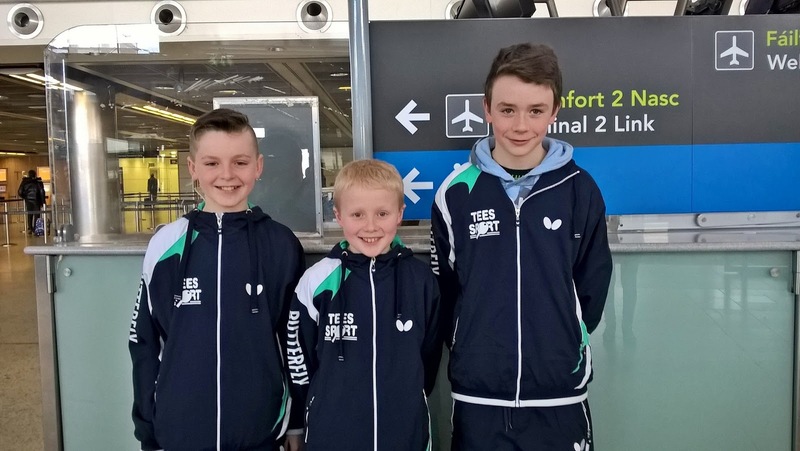 At the start of February, Art and Dillon made the journey to represent Ireland at the 21st Janos Molnar tournament in Budapest, Hungary. This boys tournament is held annually by the BVSC Table Tennis Club in Budapest in memory of their former player Janos Molnar, a talented young boy who tragically lost his life in a car accident in 1995. Joining them at the tournament were Thomas Joyce of Mayo Academy, Conor Nugent (Glenburn TTC) and Eoin Cathcart (Ormeau TTC). Dillon and Thomas played first in the 2004 boys tournament with Dillon making it to the quarter finals! He was knocked out by Balogh (Hungary) but brought home a medal. Dillon & Art played in the 2003 boys the next day. Art topped his group but was unfortunately knocked out of the next round by the Spanish player Lloret (Spain). Both took part in the U15 and U18 events with both players performing very well. Art was unfortunate to lose out qualifying for the 2nd round of the U15 through countback. Further details about the tournament can be found here.